If you are anything like me, the holiday season is strictly for baking. And by baking, I mean only preparing cookies. Even though I am in a baking frenzy, I still like to keep things simple. I may take one or two more elaborate recipes as the season moves forward but mostly stick with what I know and love. 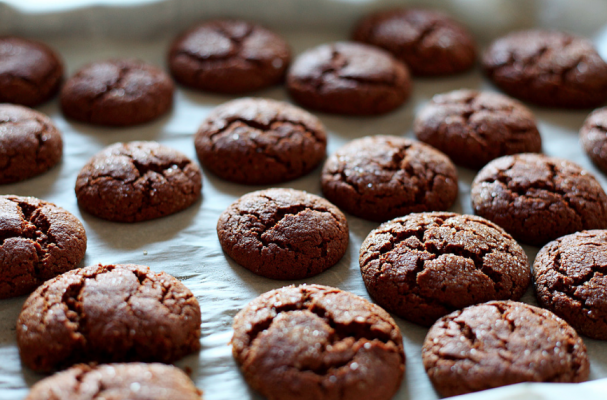 Ginger cookies fall under the love category. They are spicy, sweet and packed with flavor. I can mix up a batch of these babies without breaking a sweat. The trick is using top notch spices like freshly ground ginger so that the flavor is on point. From time to time, I might sneak in some crystallized ginger for an added boost.